Nestled in a field of praire grass in the Wisconsin woods, the Weekn’der is a dynamic contrast of minimalist black and white. 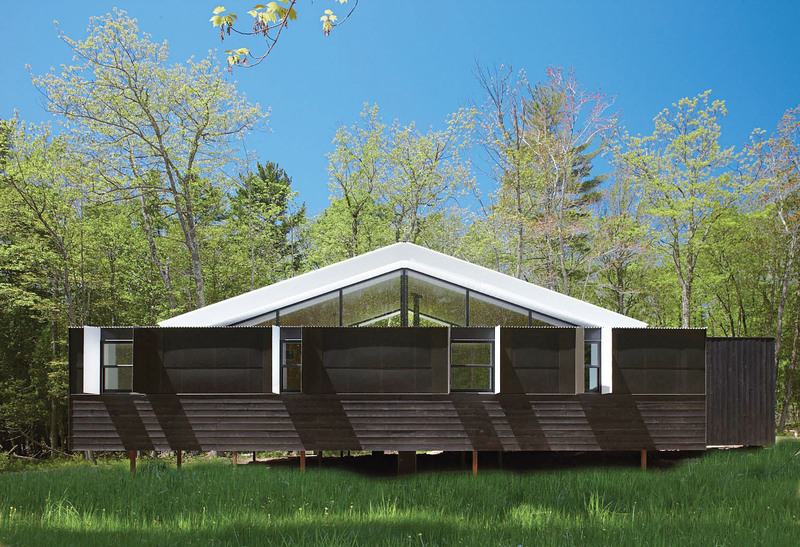 Charlie Lazor's design consists of two prefab modules bookending a central stick-built home. The Lario Wing at Spazio Villa Erba is constructed of glass sheets and steel. The architect describes this wing as characterized by free curved lines, in subtle harmony with the existing trees. In the naturally lit central living space, stained plywood is used for the walls and flooring. The interior boasts high ceilings, a wood-burning fireplace, and a dining table by Robert Ewert Designs. The ultra-compact "sleeping berths" are a couple of steps up from the ground. Deep frame windows mediate views to the outside and the white walls bounce diffused light to illuminate the space as if it were a light box. 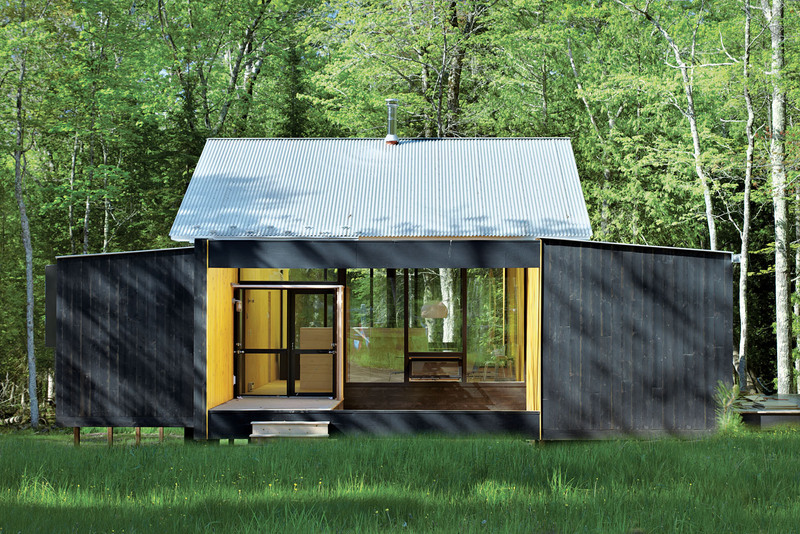 When architect Charlie Lazor was com­missioned to design an affordable, dura­ble summer retreat on Lake Superior’s historic Madeline Island, he was aware of the location’s challenges. Because of its relative isolation, site-building results in a 20 percent up-charge for ferrying materials and equipment, such as a weighty concrete mixer, to the wooded site. The clients envisioned a modern cabin that evoked a rustic simplicity; Lazor, creator of the panelized FlatPak house, developed a new modular 1,600-square-foot open-plan Week’nder sporting a screened porch, traditional porcelain fixtures, and shed door latches. Mounted on tubular steel posts to minimize its ecological footprint (and the number of ferry crossings), the home stands out amongst the trees as a testament to both prefab’s tenacity against the elements and its environmental ethos.